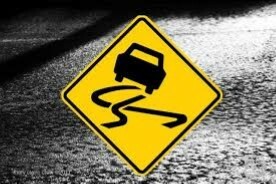 NEWHALL – A road in the Newhall area was closed Wednesday because of black ice, a condition that causes vehicles to slide out of control unexpectedly. The closure was reported shortly after 6 a.m. Wednesday, Feb. 6, on The Old Road at Weldon Canyon Road, according to the California Highway Patrol. A Ford Mustang went out of control at that location and crashed into the center divider, prompting authorities to close a section of the roadway in the area, the CHP reported. No one was injured. A frost advisory issued by the National Weather Service for the San Fernando Valley was scheduled to expire at 9 a.m.